The search for a younger looking appearance or skin tightening continues to drive patients in search of non-invasive aesthetic procedures. Offering a more comfortable and affordable alternative to Thermage, Exilis™ stimulates and strengthens the collagen network to painlessly improve skin laxity and texture. The end result is long lasting and consistent. 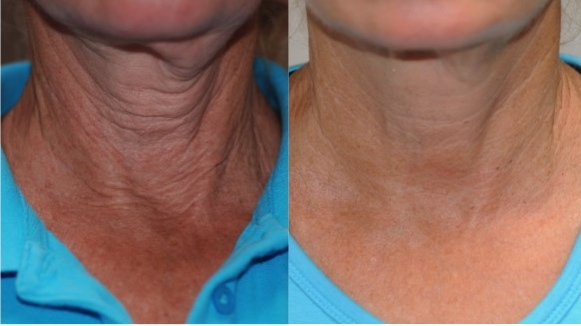 Exilis™ delivers targeted energy to reach and stimulate the deeper layers of tissue-building collagen and elastin. Enjoy the benefits of an anti-aging treatment in Toronto that doesn’t require surgery. Maybe you have issues created by illness or medication you had to take; maybe you lost weight but your skin isn’t tightening or returning to the way it used to be. Exilis™ may be your solution to sagging skin. 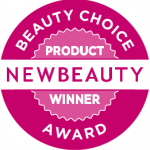 The result: Tighter, Smoother Appearance that is natural. Tightens and firms saggy skin by improving elasticity. Tightens and restores lax tissue around eyes, lips and mouth areas. Increases collagen production for improved structure. Delays and/or replaces surgery. Compliments Botox and Fillers as well as treatments that address skin texture. Using Mono Polar Radio Frequency with proprietary cooling, Exilis™ delivers deep thermal heat to ramp up the metabolic activity in every cell – in essence “tricking” your body to produce NEW Collagen… something which we all know slows down as we age. Droopy lower face and saggy jowls. Under eye wrinkles & puffy eyes. Brow lift – saggy skin below eyebrows. Mouth and lips – helps restore lips to original suppleness. Cheeks – address fine wrinkles and “rippled” skin. Turkey neck and double chin. Fine wrinkles on chest and décolletage. Many say the treatment is similar to a hot stone massage. Unlike some other anti-aging treatments around Toronto, Exilis™ is relaxing and comfortable. Treatments are performed in our clinic and can take anywhere from 30-45 minutes per area. There is no need for topical anesthetics nor is there any downtime. Exilis™ is Health Canada and FDA approved. Natural aging, with long-term exposure to sun, makes it inevitable that one’s skin will begin to sag. For most, it is the loss of elasticity that accelerates the initial appearance of tiny, fine lines. For others, the aging is “deeper” – resulting in jowls and/or sagging that moves below the jaw line. 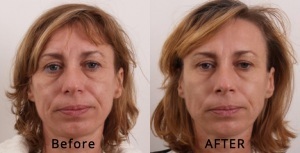 Additionally, some of our clients are cursed with facial volume or fat (usually the regrettable “double chin”). Only Exilis™ Radio Frequency waves have the ability to reduce volume and tighten at same time. The challenge to reversing the signs of aging is layered: You need the right machine, you need an experienced clinician who can assess your specific treatment plan and of course, you need a precise and skilled hand operating the device. Clarity Medspa has it all. If you’re looking for an anti-aging treatment in Toronto, you want the safety and comfort of a clinic that provides the best, proven techniques performed by licensed physicians and nurses. Fraxel, Thermage, Botox, Xeomin, Juvederm, etc. We can devise a schedule that meets your budget and helps you achieve the positive changes you want for yourself. Our purpose is to assess and educate our clients, and help them choose a path and treatment plan that will achieve their desired results.